Would you like to go sailing? Have you ever thought you’d like to try offshore sailing but don’t know where to start? You’re in the right place! To give you a real, hands-on feel of what sailing is all about – and maybe set you off on a whole new adventure – Oxted Offshore Sailing Club will be hosting a small number of Sailing Experience Days in the Solent during the autumn of this year and Spring 2018.
an introduction to the yacht and some of the ropes you’ll need to know about! taking the helm under sail – one of the best feelings in the world! The day will start with a full briefing at 09:00 at Hamble Point Marina at the sea end of the River Hamble, Southampton. You’ll set sail at around 10:00, have a good few hours on the water and return to the Marina by 16:00.The day costs £100 including on-board refreshments, but if our skippers decide to cancel because of adverse weather then this will be fully refunded. 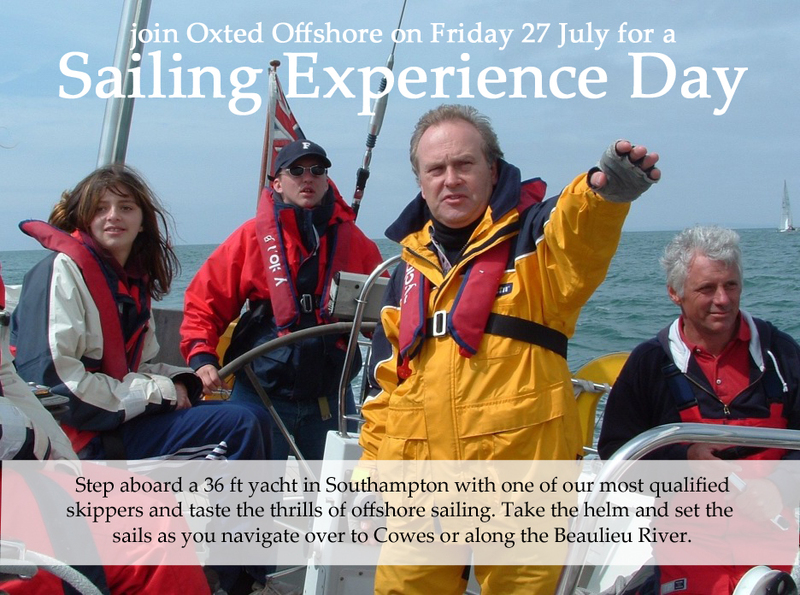 If you’d like to find out more, or book your place now to experience the magic of offshore sailing, please send us a message using the form below or email our Commodore, John Taylor. This entry was posted in Past Events and tagged experience, hamble point marina, learning, man overboard, safety, Sailing, sailing day, Southampton by Commodore. Bookmark the permalink.